Payments on the web, whether it’s on desktop or mobile, is long winded. 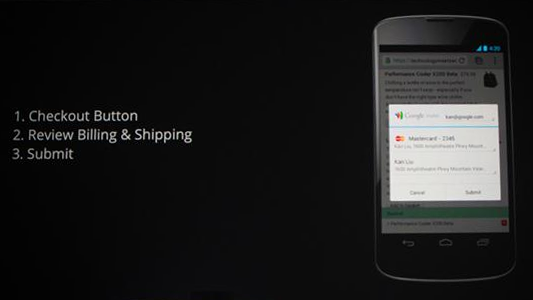 Google announced a mobile and desktop synced payment system for Chrome, which cuts billing forms to a three step process: Checkout Button, Review Billing and Shipping, and Submit. According to Google, there’s a 97% abandonment rate for online purchases from mobile browsers. Too many steps, and too much information needed to complete purchases put off users. Many online purchase forms have 21 steps. Google have created in Chrome a secure system that stores your information safely and allows you to buy online in three steps on both desktop and mobile versions of the browser. You will only have to enter your billing information once in Chrome, and then shop easily wherever you are signed in to Chrome. 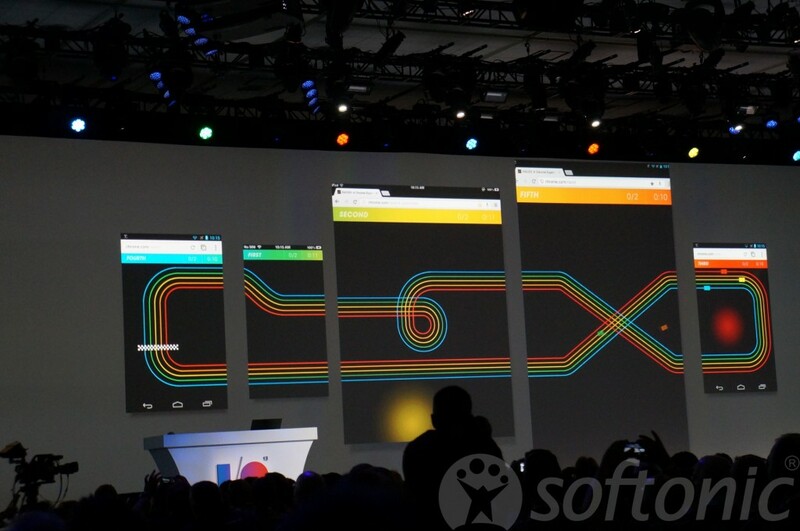 Showing off synchronization, we also saw a single racing game being played across 5 screens perfectly. It uses the Web Socket browser-server technology, and is really impressive.